This article is about the English indie rock band. For other uses, see block party (disambiguation). RowlandKelechukwu "Kele" Okereke, also known by the mononym Kele, is an English musician, best known as the lead singer and rhythm guitarist of the indie rock band Bloc Party. Gordon Peter Moakes is an English musician, best known as the bassist of rock band Young Legionnaire and former member of indie rock band Bloc Party. Silent Alarm is the debut studio album by British indie rock band Bloc Party. Recorded in Copenhagen and London in mid-2004 with producer Paul Epworth, it was released in February 2005 on Wichita Recordings. The record peaked at number three on the United Kingdom Albums Chart. In the United States, it entered the Billboard 200 at number 114 and the Billboard Top Independent Albums at number seven. The double A-side "So Here We Are/Positive Tension", "Banquet", and "Pioneers" were released as singles. Silent Alarm went on to achieve worldwide sales of over one million copies. A Weekend in the City is the second studio album by British indie rock band Bloc Party. It was recorded at Grouse Lodge Studios in Westmeath, Ireland, in mid-2006 and was produced by Jacknife Lee. The album was refined and mixed at several locations in London at the end of 2006. It was released on 24 January 2007 in Japan and in the first week of February in the rest of the world, with Wichita Recordings as the primary label. The album peaked at number two on the UK Albums Chart and on the Irish Albums Chart. In the United States, it entered the Billboard 200 at number 12. The Official Albums Chart is a list of albums ranked by physical and digital sales and audio streaming in the United Kingdom. It was published for the first time on 22 July 1956 and is compiled every week by the Official Charts Company (OCC) on Fridays. It is broadcast on BBC Radio 1 and published in Music Week magazine, and on the OCC website. Bancroft's School is a co-educational independent school located in Woodford Green, London Borough of Redbridge. The school currently has around 1,000 pupils aged between 7 and 18, around 200 of whom are pupils of the Preparatory School and 800 of whom are pupils of the Senior School. Ilford County High School is a selective secondary grammar school for boys located in the town of Barkingside of the London Borough of Redbridge. It was formerly called Park High Grade School and as a result old boys are referred to as Old Parkonians. Trinity Catholic High School is an 11–18 mixed, Roman Catholic, voluntary aided school and sixth form in Woodford Green, Greater London, England. It is part of the Roman Catholic Diocese of Brentwood. "Banquet" was Bloc Party's first and only release by Moshi Moshi, and is typical of their early indie rock style. Angular Recording Corporation was an independent record label founded in New Cross, South East London. It was established in June 2003 by two ex-Goldsmiths College students, Joe Daniel and Joe Margetts, who reclaimed a local Ordnance Survey Triangulation Station and made it their first artefact: ARC 001. "She's Hearing Voices" is a song by Bloc Party that was first released on 7" vinyl by London-based independent label Trash Aesthetics in February 2004. It also appeared on their 2004 Bloc Party (EP). The song was later re-recorded for the band's 2005 debut album Silent Alarm, while "The Marshals Are Dead" was re-recorded and released on the 7" and DVD single versions of the "So Here We Are" single. Trash Aesthetics is an independent record label founded in 2004 by Rob Fawkes and Claire Hewitson and active until 2014. Based in South London, it specialised in releasing limited-edition runs of singles by both local bands and international acts whose work is difficult to come by in the UK. Having started helping Rob and Claire with the label in 2007, Adam Killip took over running Trash Aesthetics in 2010. "Helicopter" is a song by English rock band Bloc Party that was originally released as a stand-alone single in the UK in 2004 and would later feature on the Little Thoughts EP, and would then be released two years later as a single from their debut album, Silent Alarm in the US. The song was received with much acclaim, reaching number 26 on the UK Singles Chart on its first release, but failing to chart in the US. Various remixes have been recorded. "Pioneers" is a single by Bloc Party from their debut album Silent Alarm. It was released in the United Kingdom by Wichita Recordings on 18 July 2005 and reached number 18 in the UK Singles Chart. Due to an error printing, it was called "The Pioneers" on the album track-listing. Each copy of the single is numbered in the top left corner. The Chemical Brothers are an English electronic music duo composed of Tom Rowlands and Ed Simons, originating in Manchester in 1989. Along with The Prodigy, Fatboy Slim, The Crystal Method, and fellow acts, they were pioneers at bringing the big beat genre to the forefront of pop culture. They achieved widespread success when their second album Dig Your Own Hole topped the UK charts in 1997. In the United Kingdom they have had six number one albums and 13 top 20 singles, including two number ones. "Believe" is the second single from The Chemical Brothers 2005 studio album Push the Button. The single was released in early May 2005 and peaked at number 18 in the UK Singles Chart. Kele Okereke, lead singer and rhythm guitarist of the indie rock band Bloc Party is featured on vocals. A remix of the song was featured in the 2005 snowboarding video "Flavor Country" by Sandbox. Bloc Party at The Brixton Academy, London, UK. October 2005. Bloc Party performing songs from Four at HARD Summer 2012. Later in 2016, the band released the standalone single 'Stunt Queen' to mark their performance at the Hollywood Bowl, which Okereke claimed was a "significant milestone" for the band. It marks some of the first new material that featured Justin and Louise as co-writers. Silent Alarm Remixed is the remix album to Silent Alarm, the debut album by British indie rock band Bloc Party. It was released on 29 August 2005 in the British Isles on Wichita Recordings, the band's primary label, and on 13 September 2005 in the United States through Vice Records to coincide with Bloc Party's worldwide touring schedule. The record peaked at number 54 on the UK Albums Chart. In the US, it achieved a peak of number four on the Billboard Top Electronic Albums. "Banquet" is a song from British band Bloc Party's debut album Silent Alarm. Originally released on a double A-side single along with "Staying Fat" in May 2004 by Moshi Moshi Records, it was re-released as a regular single in the United Kingdom by Wichita Recordings on 25 April 2005. It was their first single to chart on the Billboard Modern Rock Tracks where it came in at number 34, and is often credited as their breakthrough single in North America. It was also featured in the song "Bloc Party" on the Fort Minor Mixtape: We Major. It was #31 in NME's top 100 tracks of the decade, and was number 54 in Triple J's Hottest 100 of all time. It peaked at #13 on the UK singles chart. In 2011, NME placed it at number 20 on its list "150 Best Tracks of the Past 15 Years". "Hunting for Witches" is a song by English rock band Bloc Party. It was released as the third single from their second studio album, A Weekend in the City, on 9 July 2007. The song peaked at number 22 on the UK Singles Chart. "Two More Years" is a single by Bloc Party. It charted at number 7 in the UK Singles Chart making it the second of the band's top 10 hits. The discography of Bloc Party, a British indie rock band, consists of five studio albums, three extended plays (EPs), and two remix albums released on primary label Wichita Recordings. Bloc Party were formed in 1999 by chief songwriter and frontman Kele Okereke and Russell Lissack. Bassist Gordon Moakes and drummer Matt Tong joined the band later. The quartet's first release was the Bloc Party EP in 2004; the first single, "She's Hearing Voices", was released from this, but failed to chart in the United Kingdom. The next EP, Little Thoughts, was released the same year only in Japan; it included Bloc Party's first UK Top 40 entry, the double A-side "Little Thoughts/Tulips", which peaked at number 38. 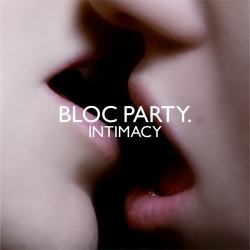 Intimacy is the third studio album by English indie rock band Bloc Party. It was recorded in two weeks at several locations in London and Kent during 2008 and was produced by Jacknife Lee and Paul Epworth. The band members made the album available for purchase on their website as a digital download on 21 August 2008. Minimal promotion was undertaken in the UK. The record was released in compact disc form on 24 October 2008, with Wichita Recordings as the primary label. It peaked at number 8 on the UK Albums Chart and entered the Billboard 200 in the United States at number 18. Intimacy Remixed is the remix album to Intimacy, the third album by indie rock band Bloc Party. It was released on 11 May 2009 in the United Kingdom through Wichita Recordings, the band's primary label, in limited edition CD and triple LP formats to coincide with Bloc Party's worldwide touring schedule. The record entered the UK Album Chart at number 79. In the United States, it achieved a peak of number 15 on the Billboard Dance/Electronic Albums chart. "One More Chance" is a 2009 single by British band Bloc Party. It was released on 10 August 2009. The Boxer is the debut solo album by Kele Okereke, the lead singer of British indie rock band Bloc Party. Okereke released the album under the professional name of Kele on 21 June 2010. As promotion, he uploaded the songs "Rise" and "Walk Tall" to his personal website on 13 May. The first single from The Boxer was "Tenderoni", released on 14 June, and the second, "Everything You Wanted", on 16 August. The album's third single "On The Lam" was released on 25 October. 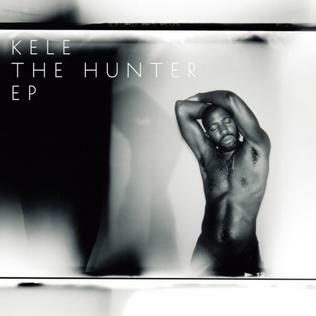 The Hunter is the first EP by Kele Okereke, lead singer and rhythm guitarist of the British rock band Bloc Party. It was released on 7 November 2011 by Wichita Recordings in the UK, set back a week from the original release date, and 3 days earlier on 4 November 2011 by Wichita Recordings and Liberator Music in Australia. The first single released from the EP was "What Did I Do? ", which features guest vocals from Lucy Taylor. The music video was released on 13 September 2011, with the song released as a digital single in Japan 10 days later. Four is the fourth studio album by British indie rock band Bloc Party. It was recorded in late 2011 and early 2012 at Stratosphere Sound, New York City, with producer Alex Newport. Newport also produced Wreckonomics—the EP of bassist Gordon Moakes' side project, Young Legionnaire. It was released on 20 August 2012 on independent label Frenchkiss Records, and was made available to stream the week preceding its release. The album peaked at number 3 in the UK Albums Chart, and at number 36 on the Billboard 200 chart in the United States. It is the last album featuring the original line-up with Gordon Moakes and Matt Tong. "Octopus" is a song by the British indie rock band Bloc Party, released as the lead single from the band's fourth album Four on 11 July 2012. Trick is the second solo album by Kele Okereke, the lead singer of British indie rock band Bloc Party. It was released on 13 October 2014 through Lilac Records. It entered the UK Albums Chart at number 99. "Truth" is a song by the British indie rock band Bloc Party, released as the third single from the band's fourth album Four on 25 February 2013. Hymns is the fifth studio album by English indie rock band Bloc Party. It was released worldwide in January 2016 on BMG. The album was recorded between March and August 2015 at Lynchmob Studios in London, following a hiatus during which Matt Tong and Gordon Moakes departed the band. It is the first album to feature new band member Justin Harris on bass and keyboards. The songs "The Love Within", "The Good News", and "Virtue" were released as singles. ↑ "50 most depressing facts about music". NME . 4 May 2012. Retrieved 10 May 2012. 1 2 3 McLean, Craig (7 January 2007). "Kele Okereke: 21st century boy". The Guardian . London. Retrieved 2 May 2008. ↑ G, Chris (10 May 2004). "Interview: Bloc Party". SoundsXP. Retrieved 31 December 2006. ↑ Kirsty Brown (31 January 2007). "Bloc Party". Beat. Archived from the original on 6 December 2008. Retrieved 7 July 2008. ↑ "Various: The New Cross: An Angular Sampler". Shazam. Retrieved 7 July 2008. ↑ "Bloc Party – She's Hearing Voices". Drowned in Sound . Archived from the original on 8 November 2006. Retrieved 2 May 2008. ↑ "Bloc Party". NME . Retrieved 2 May 2008. ↑ "Berkshire Music – Club Velocity". BBC. 12 February 2004. Retrieved 2 May 2008. ↑ Steve Lamacq (19 January 2004). "The downside to being the buzz band of the moment". BBC. Retrieved 2 May 2008. ↑ "Releases: Banquet". Moshi Moshi Records. Archived from the original on 19 November 2006. Retrieved 2 May 2008. ↑ "Bloc Party biography". Tiscali. Archived from the original on 10 October 2008. Retrieved 2 May 2008. ↑ "Silent Alarm by Bloc Party". Metacritic . Retrieved 14 April 2009. ↑ "NME Album of the Year Archive". NME . Archived from the original on 13 April 2008. Retrieved 21 April 2008. 1 2 3 "Bloc Party – UK Chart positions". EveryHit. Archived from the original on 12 October 2008. Retrieved 31 March 2008. Note: Search for "Bloc Party". 1 2 "Platinum Awards Content". British Phonographic Industry. Archived from the original on 20 April 2008. Retrieved 31 March 2008. ↑ "Bloc Party – Pioneers". Minivegas. Retrieved 31 March 2008. ↑ Chris G (10 May 2004). "Interview Bloc Party". Soundsxp. Retrieved 14 March 2012. 1 2 "Live : Archive". Bloc Party. Archived from the original on 31 July 2008. Retrieved 2 May 2008. ↑ "Chemical Brothers, Push The Button". BBC. Retrieved 2 May 2008. ↑ "Silent Alarm Remixed: Bloc Party: Music". Amazon.com . Retrieved 2 May 2008. ↑ "Silent Alarm Remixed". Bloc Party. Archived from the original on 8 July 2011. Retrieved 2 May 2008. ↑ "Hear The New Single!". Bloc Party. Archived from the original on 19 October 2007. Retrieved 3 May 2008. ↑ "Live: 2005 Archive". Bloc Party. Archived from the original on 31 July 2008. Retrieved 3 May 2008. ↑ "Banquet – The Streets Remix Video!". Bloc Party. Archived from the original on 8 July 2011. Retrieved 3 May 2008. ↑ "Help – A Day in the Life". Amazon.com. Retrieved 21 April 2008. ↑ Tom Young (1 February 2007). "Rock/Indie Review – Bloc Party, A Weekend in the City". BBC. Retrieved 4 May 2008. ↑ "A Weekend in the City: Bloc Party". Amazon.com. Retrieved 3 May 2008. 1 2 Simon Vozick-Levinson (21 February 2007). "What A Weekend in the City means for Bloc Party". Entertainment Weekly . Retrieved 4 May 2008. ↑ "Mika Dominates U.K. Album, Singles Chart". Billboard. Retrieved 5 June 2016. ↑ "Bloc Party albums". Australian Charts. Retrieved 1 April 2008. ↑ "Bloc Party chart positions". Ultratop . Retrieved 3 May 2008. ↑ "Fall Out Boy Hits 'High' Note With No. 1 Debut". Billboard . Retrieved 5 May 2008. ↑ "Amazon.co.uk: The Prayer: Bloc Party: Music". Amazon.com. Retrieved 4 May 2008. ↑ "The Prayer Hits The Top 5". Bloc Party. Archived from the original on 8 July 2011. Retrieved 4 May 2008. ↑ "Radio 1 – Zane Lowe – Bloc Party live at Maida Vale". BBC. Retrieved 4 May 2008. ↑ "Listen to 'A Weekend in the City' Now!". Bloc Party. Archived from the original on 18 October 2007. Retrieved 4 May 2008. ↑ "Billboard.com – Artist Chart History – Bloc Party". Billboard . Archived from the original on 15 April 2008. Retrieved 3 April 2008. ↑ "australian-charts.com – Australian charts portal". Australian Charts. Retrieved 3 April 2008. ↑ "Amazon.co.uk: Flux: Bloc Party: Music". Amazon.com. Retrieved 4 May 2008. ↑ "Bloc Party announce new single details". NME . ↑ Ruth Barnes (16 December 2007). "Bloc Party on a High". BBC. Retrieved 9 June 2008. 1 2 3 "Live : Archive". Bloc Party. Archived from the original on 31 July 2008. Retrieved 2 May 2008. ↑ "Lamacq in the City – Reading Hexagon, 5 Feb 2007". BBC. Retrieved 4 May 2008. ↑ "Radio 1's Big Weekend – Bloc Party". BBC. Retrieved 4 May 2008. ↑ "Live Earth – Bloc Party". BBC. Retrieved 4 May 2008. ↑ "BBC Scotland – T in the Park 2007 – Bloc Party". BBC. Archived from the original on 15 July 2007. Retrieved 4 May 2008. ↑ "Oxegen '07 Lineup". Oxegen. Archived from the original on 22 April 2008. Retrieved 4 May 2008. ↑ "Glastonbury gallery: photographs by Bloc Party". The Guardian . London. 25 June 2007. Retrieved 4 May 2008. ↑ "Reading and Leeds 2007 – Artists/Line-up". BBC. Retrieved 4 May 2008. ↑ "Austin City Limits – Bloc Party followed by Ghostland Observatory". PBS. Retrieved 4 May 2008. ↑ "Electric Proms 2007 – Bloc Party". BBC. Retrieved 4 May 2008. ↑ "Radio 1 – Zane Lowe tracklisting archives". BBC. Retrieved 7 July 2008. ↑ "BBC – Reading and Leeds Festivals 2008 – Bloc Party". BBC. Retrieved 6 September 2008. ↑ "Hydro Connect: Day 2 review: Bloc Party". Theregoesthefear. Retrieved 6 September 2008. ↑ "The Gonzo on Tour 2008: Bloc Party + Magistrates". Barfly. Archived from the original on 15 September 2008. Retrieved 6 September 2008. ↑ "Bloc Party reveal new non-album single – exclusive". NME . Retrieved 10 September 2008. ↑ "Bloc Party announce 'Talons'". Bloc Party. Archived from the original on 11 September 2008. Retrieved 10 September 2008. ↑ "Intimacy Remixed Announced". Bloc Party. 17 March 2009. Archived from the original on 21 April 2009. ↑ "2009 UK Tour Confirmed". Bloc Party. Archived from the original on 26 September 2008. Retrieved 26 September 2008. ↑ "Bloctober UK tour". Bloc Party. 2 February 2009. Archived from the original on 3 February 2009. ↑ "Bloc Party: 'We might never make a record again'". NME . Retrieved 30 July 2009. ↑ Air Now: 07:00 – 10:00 (16 October 2009). "Bloc Party future uncertain". BBC. Retrieved 18 July 2011. ↑ "Bloc Party's Russell Lissack gears up side project again". NME. 22 January 2010. Retrieved 23 January 2010. ↑ "Colossus/Iron Dream 7" by Young Legionnaire". Holy Roar Records. Archived from the original on 12 July 2011. Retrieved 18 July 2011. ↑ "Bloc Party's Kele Okereke working on solo album". NME. 4 November 2009. Retrieved 18 July 2011. ↑ "Listen: Bloc Party's Kele: "Tenderoni"". Pitchfork Media. 28 April 2010. Retrieved 18 July 2011. ↑ "+ text[increment] +". Blogparty.blocparty.net. Archived from the original on 23 July 2011. Retrieved 18 July 2011. ↑ Byrne, Niall (28 September 2011). "Kele Okereke to leave Bloc Party? Update: No". State.ie . Retrieved 26 March 2012. ↑ "Bloc Party's Kele: 'Here's to some more mighty fine music'". NME . 22 March 2012. Retrieved 26 March 2012. ↑ "Can We Get Much Higher: Wichita Podcast Episode 2". Wichita Recordings. Retrieved 11 September 2011. 1 2 Michaels, Sean (6 April 2011). "Bloc Party back together for new album". The Guardian . London. ISSN 0261-3077. OCLC 60623878 . Retrieved 6 April 2011. ↑ "Bloc Party's Kele Okereke to release new solo EP". NME . 13 September 2011. Retrieved 24 September 2011. ↑ "Bloc Party to release new album later this year with Kele Okereke". Metro. Retrieved 4 January 2012. ↑ "Bloc Party announce new album Four". Rekwired. Retrieved 31 May 2012. ↑ "Bloc Party name their new album". NME . Retrieved 31 May 2012. ↑ "Four". blocparty.com. Archived from the original on 12 May 2012. Retrieved 31 May 2012. ↑ Battan, Carrie (10 July 2012). "Video: Bloc Party: "Octopus"". Pitchfork Media . Retrieved 10 July 2012. ↑ Minsker, Evan (28 July 2012). "New Bloc Party: "Day Four"". Pitchfork Media . Retrieved 28 July 2012. ↑ Zanotti, Marc (27 March 2013). "New Bloc Party EP Expected Mid-2013". MusicFeeds . Retrieved 30 May 2013. ↑ Minsker, Evan (25 June 2013). "Bloc Party announce new EP The Nextwave Sessions". Pitchfork Media . Retrieved 25 June 2013. ↑ "Creative Spotlight: Episode #306 – Matt Tong of Bloc Party". Japan Cinema. Archived from the original on 25 November 2014. Retrieved 5 September 2014. ↑ Dekel, Jon (13 June 2013). "Bloc Party plans indefinite break after summer festival circut". The National Post . Postmedia Network. Archived from the original on 20 June 2013. Retrieved 13 June 2013. ↑ Reilly, Dan (12 June 2013). "Bloc Party going on indefinite hiatus". Rolling Stone . Retrieved 13 June 2013. ↑ "Bloc Party - Tapes". !K7 Records. Archived from the original on 5 November 2013. Retrieved 16 November 2013. ↑ "Bloc Party's Kele Okereke on Being Gay and Black in the Dance and Rock Worlds". Vice . 11 September 2014. Archived from the original on 24 September 2014. Retrieved 22 September 2014. ↑ "Gordon Moakes leaves Bloc Party". It's All Indie. Retrieved 20 March 2015. ↑ "Positive Tension: How Kele Okereke revitalized and saved Bloc Party". NBHAP. Retrieved 9 February 2016. ↑ "FYF Fest 2015: Bloc Party demands dance party, gets crowd on their feet Saturday". Daily News. Retrieved 24 August 2015. ↑ Helman, Peter (20 August 2015). "Watch Bloc Party Debut Two New Songs in Pomona". Stereogum. Retrieved 23 August 2015. ↑ "Gigography". BlocParty.net. Archived from the original on 8 January 2016. Retrieved 6 January 2016. ↑ "Speculation: Louise Bartle to be the next Bloc drummer?". Blobaords.com. Archived from the original on 8 January 2016. Retrieved 6 January 2016. ↑ "Bloc Party make live return, debut new songs". DIY. Retrieved 21 August 2015. ↑ "Bloc Party debut new line-up and play new songs live ahead of fifth album release - watch". NME. Retrieved 23 August 2015. ↑ "Bloc Party's Upcoming Fifth Album - Everything We Know So Far About 'Hymns' | NME.COM". NME.COM. Retrieved 11 October 2015. ↑ "Bloc Party name fifth album 'Hymns', share 'The Love Within'". DIY. Retrieved 11 October 2015. ↑ "Bloc Party announces new album, Hymns, premieres "The Love Within" -- listen". Consequence of Sound. Retrieved 11 October 2015. ↑ "Bloc Party unveil new single 'The Love Within' and announce new album Hymns". HMV. Retrieved 11 October 2015. ↑ "Bloc Party – "Stunt Queen"". Stereogum. Retrieved 20 September 2016. ↑ "Bloc Party to play Silent Alarm in full on 2018 tour". London Evening Standard. Retrieved 19 March 2018. ↑ "Bloc Party announce more 'Silent Alarm' UK shows for 2019". NME. Retrieved 22 January 2019. 1 2 Xinying, Hong (5 November 2012). "Bloc Party To Perform Live In Singapore". Herworld. Retrieved 2 June 2018. ↑ Reed, Ryan (16 March 2016). "Watch Bloc Party Channel 'The Love Within' on 'Seth Meyers'". Rollingstone. Retrieved 2 June 2018. 1 2 Moore, David. "Bloc Party". Pitchfork. Retrieved 2 June 2018. ↑ Reynolds, Simon (27 January 2009). "Bloc Party refuse to go back to indie rock". Digital Spy. Retrieved 2 June 2018. ↑ Cripps, Charlotte (27 April 2005). "Bloc Party: Rock around the Bloc". Independent. Retrieved 2 June 2018. ↑ I. Collinson, "Devopop: pop Englishness and post-Britpop guitar bands", in A. Bennett and J. Stratton, eds, Britpop and the English Music Tradition (Aldershot: Ashgate, 2010), ISBN 0-7546-6805-3, pp. 163–178. ↑ Phares, Heather. "Bloc Party Bio". AllMusic . Retrieved 2 June 2018. ↑ Phillips, Lior (9 February 2016). "Bloc Party Reborn: A Conversation with Kele Okereke and Russell Lissack". Consequence of Sound. Retrieved 2 June 2018. 1 2 Williams, Tom (16 November 2013). "Bloc Party's Kele Okereke Releases New House Track 'God Has A Way'". Musicfeeds. Retrieved 2 June 2018. ↑ Alexandra, Vann (30 March 2011). "Exclusive: Bloc Party Bassist Debuts Heavy Band". Spin. Retrieved 2 June 2018. ↑ Ross, Emma Lee (25 October 2014). "KELE OKEREKE: "THIS IS A NEW TERRITORY FOR ME, SINGING ABOUT DESIRE"". Noisey. Vice Media. Retrieved 8 February 2015. ↑ The A.V. Club Staff (17 September 2007). "It Was 40 10 Years Ago Today: 18 Reasons 1997 Might Be The Next 1967". The A.V. Club ( The Onion ). Retrieved 14 April 2009. ↑ Phares, Heather. "Bloc Party: Biography". Allmusic . Retrieved 14 April 2009. ↑ Matt Dyson (30 August 2005). "Berkshire – festivals – Review: Bloc Party". BBC. Retrieved 5 May 2008. ↑ "Bloc Party reveal new sound". NME . Retrieved 4 May 2008. ↑ Daniel Melia (24 February 2006). "Bloc Party Plan Experimental "Radiohead" Like Second Album". Gigwise. Archived from the original on 21 June 2006. Retrieved 10 July 2008. 1 2 A Weekend in the City (CD booklet). Bloc Party. London: Wichita Recordings. 2007. p. 12. WEBB120X. ↑ O'Kane, Josh (18 September 2008). "Talking Bloc during Harvest Jazz - Bloc Party frontman Kele Okereke talks life, love, music and Ultimate Fighting". [Here] New Brunswick. Archived from the original on 8 July 2011. Retrieved 17 March 2012. With the new record, he said he was inspired by a song written years ago by Siouxsie and the Banshees called Peek-a-boo. "I heard it for the first time, and it sounded like nothing else on this planet. This is just a pop song that they put out in the middle of their career that nobody knows about, but to me it sounded like the most current but most futuristic bit of guitar-pop music I've heard. I thought, that'd be cool, to make music that people might not get at the time, but in ten years' time, people would revisit it." ↑ "Bloc Party unveils new single on BBC radio". Billboard . Retrieved 8 July 2008. ↑ Intimacy (CD booklet). Bloc Party. London: Wichita Recordings. 2008. p. 8. WEBB185. ↑ Cochrane, Greg (8 December 2008). "Bloc Party singer not 'content'". BBC. Retrieved 15 April 2009. ↑ "Bloc Party turns back on indie-rock". ITV. 26 January 2009. Retrieved 14 April 2009. ↑ "MIX: Vice x Bloc Party Mix". URB. 29 January 2009. Archived from the original on 5 February 2013. Retrieved 20 August 2012. ↑ "Bloc Party play last show before hiatus at Latitude Festival - NME". NME. 20 July 2013. Retrieved 3 September 2017. ↑ "Doherty hopes for NME night out on bail". The Guardian . London. 17 February 2005. Retrieved 20 July 2008. ↑ "Coldplay, Gorillaz Lead MTV Europe Music Awards Nominations". MTV. 28 September 2005. Retrieved 21 July 2008. 1 2 "ShockWaves NME Awards 2006: The Shortlist". NME . 23 January 2006. Retrieved 20 July 2008. ↑ "PLUG 2005 Nominees/Winners". PLUG. Archived from the original on 28 August 2008. Retrieved 21 July 2008. 1 2 3 "PLUG 2006 Nominees/Winners". PLUG. Archived from the original on 20 December 2008. Retrieved 14 April 2009. ↑ "19th Annual GLAAD Media Awards Nominees". GLAAD. 20 January 2008. Archived from the original on 14 June 2008. Retrieved 21 July 2008. ↑ "Antony and Johnsons win Mercury". BBC. 17 September 2005. Retrieved 6 February 2009. ↑ "Shortlist Music Prize winners 2001–2007: Complete list of Finalists". Shortlist. Archived from the original on 12 February 2013. Retrieved 28 March 2009. ↑ "Shockwaves NME Awards 2008: Winners' list". NME . 3 March 2008. Retrieved 20 July 2008. Wikimedia Commons has media related to Bloc Party . ""So Here We Are"/"Positive Tension""